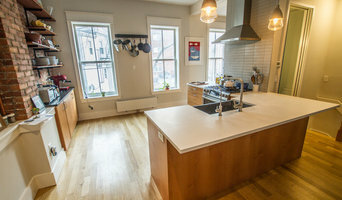 Sage Builders LLC is an award-winning residential renovation company providing integrated design and construction services for Boston-area homeowners. Our goal is simple: to create spaces that enhance our clients’ lifestyles through a collaborative, relaxed, clearly defined process. Whether you are looking to remodel a kitchen or bath, add a room or undertake a whole-house renovation Sage can help you make your house the home you’ve always wanted. We also offer specialized expertise in energy efficiency and sustainable building. LS Winston Building Co. is a remodeling company out of Walpole, MA. 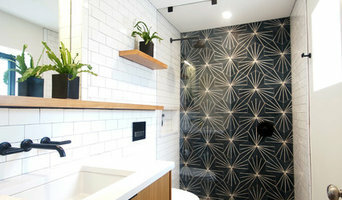 We specialize in design/build remodeling; creating spaces that are both functional and aesthetically pleasing. 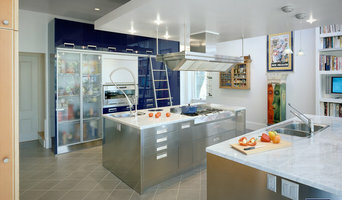 Although we are best known for our interior work (kitchens, bathrooms, cabinetry, etc. ), we also have a full service exterior division, LSW Deck Builders. The exterior division specializes in creating exquisite decks, front porches, three season rooms and exterior living spaces, but can also handle all window and door installs, wood shingling, rot repair, and roofing. We help people by creating custom solutions for your family’s growing lifestyles. Many of the people we have dealt with have had fears and concerns as it relates to home renovation. Some of these include whether the contractor will be there for the whole job, the quality of the workmanship, or the cost. We create solutions that relieve those concerns and create a finished product that you can be proud of. Design-build firms take on the responsibilities of architects, contractors and construction companies, all under one roof. These full-service firms focus on a streamlined design-build process — from the initial design to the estimating phase to physical construction — in the hope of creating an efficient experience for both the client and the company. Because the entire project is happening within one company, Brookline design-build firms are able to overlap the design and construction phases of the project, which often speeds up the project significantly. In addition, these firms work to minimize risks for the project owner through single-point responsibility contracts. However, depending on the firm, you may still want to contact an interior designer or architect to help create the exact look you want. Here are some related professionals and vendors to complement the work of design-build firms: Interior Designers & Decorators, Landscape Architects & Landscape Designers, Architects & Building Designers, Photographers. Before deciding on a residential design-and-build company in Brookline, MA, think about what you want from your new home. Do you want a large kitchen for entertaining? Do you need several bedrooms for children and guests? Do you want a finished basement for extra space or storage? 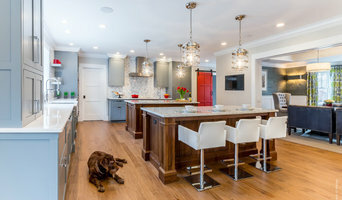 Look for Brookline design-builders that specialize in the areas you're looking for. Budget is obviously a determining factor in the outcome of your project. To make sure you stay within your means, consider making a must-have list and a wish list. Gauge where the estimates are falling to determine which design-build contract can realistically strike the balance between the two. 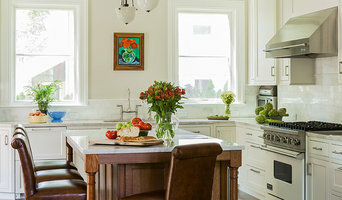 Find a Brookline design-build company on Houzz. Narrow your search in the Professionals section of the website to design-build firms in Brookline, MA. You may also look through Brookline, MA photos to find a pool you like, then contact the design-build firm that created it.